Using a framing nailer not only saves time but also saves effort as well. Which is a pretty big deal when you are trying to put up the walls for a new addition as quickly and efficiently as possible. Of course, they can be used for more than just fastening wall frames and can come handy in a number of different situations. Fortunately, there are a number of great models available and there’s one for just about anyone. That’s not saying that it’s easy to find the best framing nailer. With so many different models out there, there is always the risk of buying a sub-par model. Which is why I’ve decided to do some research and select what I think are the best framing nailer models that are out there. The following tools are high-quality, durable and capable of getting the job done right. Suitable for not only framing but also for attaching wood to masonry and decking as well, this lightweight tool has to power and the versatility to do it all. It has a clipped head design that has an adjustable depth guide that allows the user to set the nail to the depths they need it easily. This allows the user to make adjustments without having to alter compressor pressure and prevents them from having to run back and forth to the compressor for different jobs. This tool weighs under 8-pounds, drive 2-in to 3.5-inch wire framing nails and is designed for day-to-day usage. This lightweight nailer is made with magnesium, which helps it to maintain its durability without adding too much weight to it, and has a rubber grip handle that makes it comfortable to hold and easier to use. This model uses 2-inch to 3.5-inch 30-34-degree .113 to .131 paper collated clip heads but can also use offset d-head nails. This makes this a good clipped head nailer for all kinds of framing work including but not limited to fastening decking, attaching siding or for general remodeling work. It has a tool-free depth adjust that’s quite easy to use and a quick-load magazine, too. 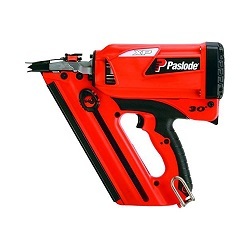 Manufactured with general fastening and framing in mind, this tool can be used as a single nailer or can be equipped with the optional bump trigger and used as a bump nailer. This tool also has a tool-free depth adjustment that makes it easy to dial in nailing depth and a heat-treated drive guide that’s designed for durability. And since this unit also has a solid rear-loading aluminum magazine, this tool has a longer life than comparable framers on the market. This unit can drive 21-degree full round-head nails, 2-inches to 3.5-inches, and with a 0.113-inch to 0.148-inch shank diameter. Framing isn’t the only activity that this tool is capable of handling. It can also do a number of different nailing jobs including fencing, roof sheathing, the installation of siding and other various general remodeling chores. It fires 21-degree nails that are anywhere from 2-inches to 3.5-inches with a collated round head. This unit also has an anti-fire mechanism that prevents the tool from dry-firing when it has five nails or fewer in its magazine. And since this unit is constructed using die-cast magnesium, it’s not only durable but is also lighter than tools made from steel. With an industrial design and a revolutionary head guard, this unit is able to fire nails quicker and more effectively than some of the other nailers available. Its innovative head design is also quicker and easier to disassemble than previous models have been, which makes it easier to be disassembled for maintenance. This tool also has a lightweight design, allows the user to change between contact and sequential nailing by flipping a switch and has a 2-piece anodized aluminum magazine. Everything considered, this unit is durable, lightweight and powerful enough for just about any nailing job. Useful for both framing and metal connector applications, thanks to its quick-change nose pieces, this unit is suitable for just about any job thrown at it. This air tool has a fastener depth control, 1.5-inch to 3.5-inches, and deliver over a thousand inch pounds of driving power. Another feature that can be found in this tool include a bump and sequential trigger, integrated rubber skid pads and has an operating pressure of 80 PSI to 120 PSI. This tool is easy enough to use for DIYers or professional workmen and is designed to have a long service life. Whether it’s used for fastening metal connectors or for a variety of different nailing jobs, this impact nailer kit is designed to drive nails up to 5-inches in length and is a convenient size for getting into tight areas. It weighs just under 3-pounds, so it’s easy to hold and has an ergonomic design so it’s comfortable to use for long periods of time. This tool comes with a standard, finish nail and large bore noses, a nose wrench, a hex wrench, extra O-rings, and lubricant. Everything that’s needed to keep the nailer running and doing the job it is designed to do. Operating at a pressure of 70 PSI to 110 PSI, and with an adjustable depth selection, this 16-gauge nailer is capable of doing all kinds of different nailing jobs. It can be used for lightweight framing jobs, trim, furniture, and even cabinets and it can use 1-inch to 2.5-inch finish nails. Other features which can be found in this unit include a quick-jam release, a high capacity magazine that holds up to 100 nails, an anti-dust cap, ergonomic grip, sequential firing, and a 360-degree adjustable exhaust. It’s also manufactured using aluminum so it’s durable and lightweight as well. This lightweight cordless nailer has a 7.4-Volt lithium-ion battery that can deliver up to 9,000 nails on a single charge. That’s enough to handle even large framing jobs and if the battery ever runs out of charge during a job, it can be given a 2-minute quick charge that will enable the user to get 200 extra shots out of it. This model is designed to drive nails flush, even when its used in older hardwoods, and has fewer jams than some models do. And it can even be used in temperatures as low as 14-degree Fahrenheit, so it can be used for framing almost all year round. Whether it’s used for framing or for some other purpose such as putting up fencing, installing sub-floors, building pallets or wall sheathing, this full head nailer has the power and firing rate to get the job done quickly and efficiently. It has interchangeable triggers that allow for contact and single nail firing, has an adjustable depth and comes with an anti-dry-firing mechanism that prevents the tool from firing with 5 nails or less remaining in the magazine. This tool uses 21-degree round head plastic collated framing nails between 2-inches to 3.5-inches in length.